It is definitely this time of year when I am catching up to announce all of the upcoming workshops I’ve been working on for a while now. This one, in particular, is quite special to my heart. I mean, just say the letters P.A.R.I.S, and my eyes open wide and lit up with excitement. 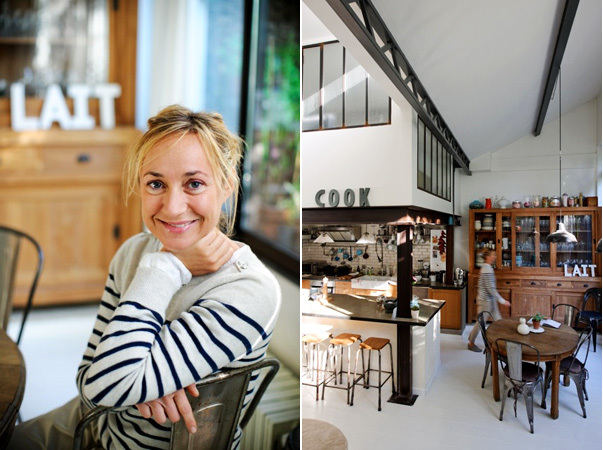 Together, we want to introduce you to the world and life of a food stylist in France. We will jointly teach sessions about food styling and photography with numerous hands-on exercices. You will have so many props to use! Really exciting! 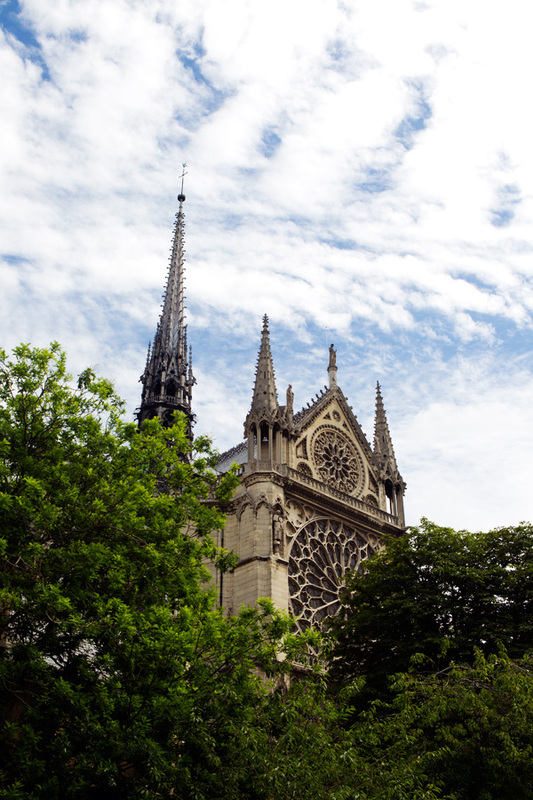 We will also take you to a real marché aux puces (flea market) to look for unique props; we will go to a typical Parisian marché, and then also enjoy some time near famous Amélie Poulain Canal St Martin for an outdoors shoot. The format of both workshops follows the same schedule, but one will be taught in English while the other will be taught in French. 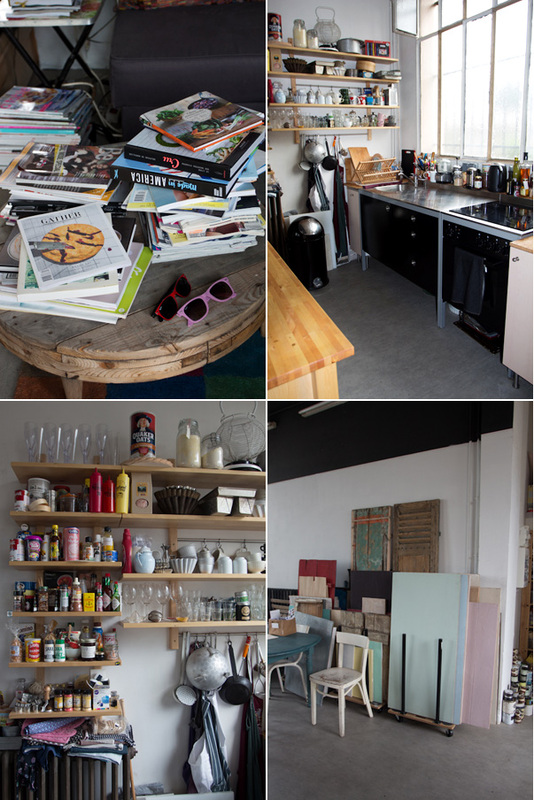 A 3-day workshop in the studio of a food stylist in Paris, France. Between food styling sessions in a stylist’s studio located near the 20th arrondissement (métro Porte des Lilas), we will take you to a flea market looking for unique props; we will take you to a typical Parisian market to buy fresh produce; and we will take you to enjoy a special lunch in a lovely restaurant in Paris. 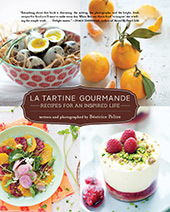 If you are looking for an authentic Parisian experience with a great way to improve your food styling and photography skills, this one is for you! Space is limited to 8 students. You should own a SLR camera and know the basics about how to use it. This workshop will be taught in English. Itinerary is subject to change due to outside factors. To register for this workshop, click on this link. For logistics reasons, this is a non-refundable workshop, so make sure you can attend. Tip: Hotel Mamashelter is located nearby rue de Bagnolet and is a great place to stay for 3 days. See for more information here. UPDATE FEB 3, 2014: DUE TO HIGHER INTEREST, WE SWITCHED THE INSTRUCTION TO ENGLISH FOR THIS WORKSHOP, APRIL 24, 26. 2014. THE FORMAT OF THE WORKSHOP IS THE SAME AS WORKSHOP #1, APRIL 21-23, 2014, DESCRIBED ABOVE. 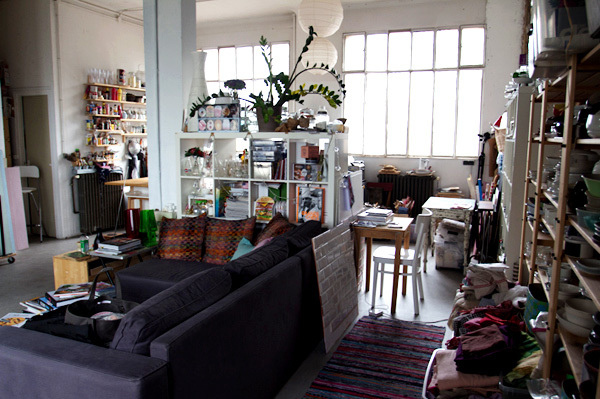 Entre diverses sessions de stylisme et de photo culinaires dans un studio de styliste studié près du 20ème arrondissement de Paris (métro Porte des Lilas), nous vous emmènerons dans un marché aux puces parisien à la recherche d’accessoires uniques; nous visiterons un marché pour y acheter des produits frais; et puis nous irons déjeuner dans un joli restaurant typiquement parisien. La place se limite à 8 personnes. Vous devez avoir un appareil photo reflex (numérique) et savoir vous en servir pour les bases. Ce atelier sera enseigné en français. Il est possible que l’itinéraire change en fonction de facteurs extérieurs. Pour vous inscrire, cliquez sur ce lien. Pour des raisons d’organisation, cet atelier est non-remboursable, donc assurez-vous que vous pourrez y assister. Conseil: l’hotel Mamashelter est à proximité rue de Bagnolet et est idéal pour 3 jours. Suivez ce lien pour plus d’amples renseignements. And to celebrate this very French moment, I thought I’d share this French dessert recipe I made recently with blackberries. I made it a project when I suddenly had a craving for blackberries. Don’t ask why. The outcome was really pleasing because I thought of creating this clafoutis-like recipe, truly an everyday food classic chez nous. It’s one I would come back to when friends come over unexpected and I need dessert on the table pour le goûter or dinner. Then, I just have to say the word clafoutis to make everyone at home happy for dessert . So, shall we meet in Paris for more French treats? Preheat the oven to 350 F and butter a 9-inch mold. Sprinkle with 1 tablespoon sugar and tap the excess out; set aside. In a large bowl, beat the eggs, egg yolk with the sugar and a pinch of sea salt. Stir in the milk and coconut milk. Beat in the hazelnut meal and millet flour. Pour the batter in the mold and add the blackberries. 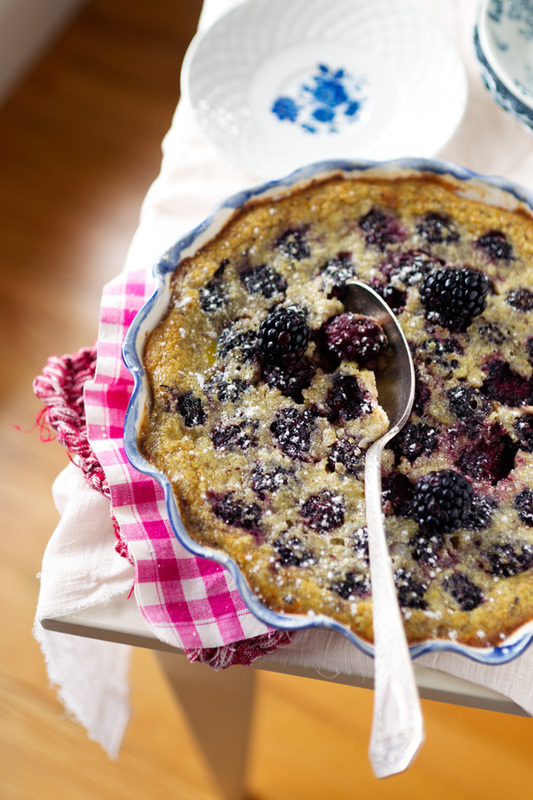 Bake the clafoutis for 35 to 40 minutes, or until the top is set and light brown in color. When ready to serve, dust with confectioner’s sugar and serve lukewarm. Préchauffez le four à 180 C et beurrez un plat allant au four de 23 cm. Saupoudrez-le de sucre, et enlevez l’excès; mettez de côté. Dans une grande jatte, battez les oeufs et le jaune d’oeuf avec le sucre et une pincée de sel. Versez le lait et le lait de coco et mélangez. Incorporez la poudre de noisettes et la farine de millet et mélangez bien. Versez cet appareil dans le moule puis disposez les mûres. Cuisez le clafoutis pendant environ 35 à 40 minutes, ou jusqu’à ce que le dessus soit légèrement doré. Servez tiède saupoudré de sucre glace. Oh je ne savais pas que tu connaissais Sandra Mahut ! Une de ses assistantes est venue m’aider sur un shoot, ici à Montréal ! Aaaah Paris, tu me fais rêver… ça commence à faire un bout que je n’y suis pas retournée ! Bon futur workshop à vous deux ! I used to live in Paris too so this is calling out to me, unfortunately it’s not school holidays 🙁 If only it were in July…. What is the amount for the blackberries? This clafloutis variation sounds delicious. What is the amount for the blackberries? Giulia, I wished you could come too. Would love to meet one day! Mardi, maybe another time then. Map, I omitted it. Corrected now. Thanks for noticing! Paris + food + photography!!! I think I may end up damaging my keyboard from the drool!! 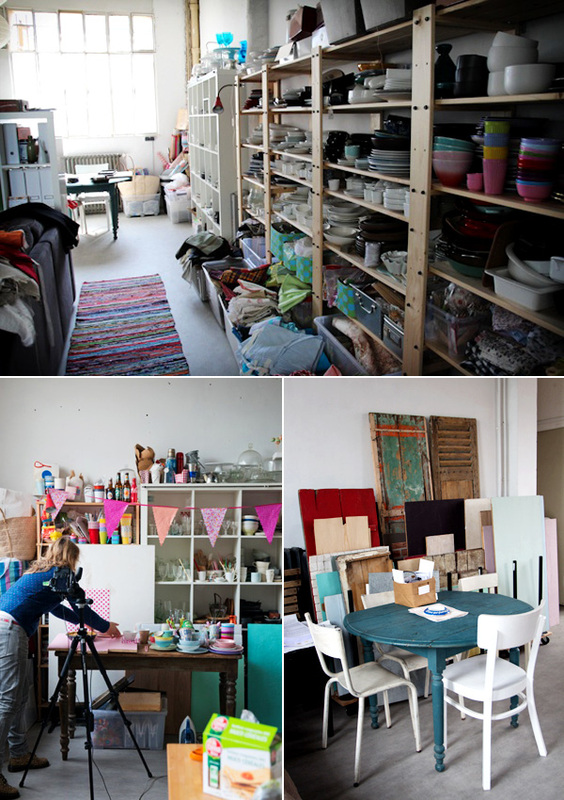 Bea, your workshops look amazing and are the what dreams are made of!! Oh, Be a! I would LOVE to do the Paris workshop. This came quite as a chock to me (in a good way though!). I’ve really been wanting to attend one of your workshops and this one would be just perfect as I’ve been wanting for so long to see Paris too… Just need to check schedule with myself, husband and work first. I cross my fingers that I can make it! So happy you are coming Sonja. Looking forward to meeting you! I am SO happy too Bea! Can’t wait! I would love to be able to attend your workshop but the timing for this one is hard due to Easter. Are you planning anymore workshops in France this year? Merci!! Tracey, I am afraid not. No more workshops this year in France outside this one. Sorry you cannot make it. Another time then. Ça faisait longtemps qu’il avait disparu de ton blog ! Quelle merveilleuse idée,tout comme cet atelier à Paris – Bravo ! Et merci pour tes billets Béa,jadore ton travail ! This would be a dream trip . 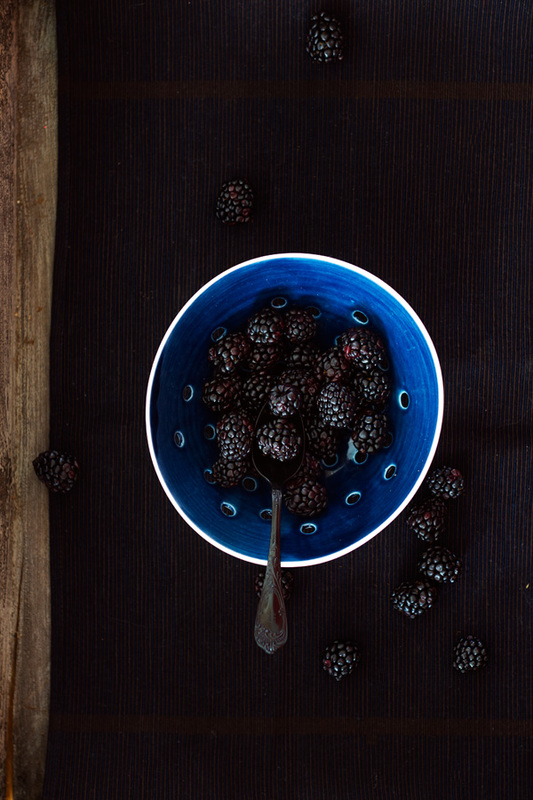 . . Beautiful photo of the bowl of blackberries, a dark study, very nice. Just wondering and hoping that you are going to be offering a workshop in June of July in France or the UK?? I would love to attend one!! 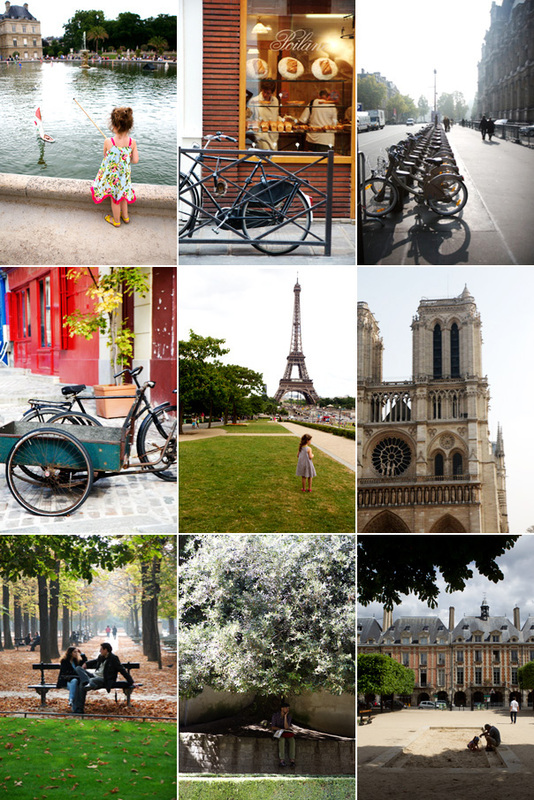 J’aime beaucoup Paris “through yours lens” et tout le travail que tu fait en general! Votre atelier à l’air génial et celles qui pourrant aller ont beaucoup de chance!! J’aime beaucoup Paris “through your lens”! Too bad I can’t make it to the workshop, the date isn’t suitable for me… But thank you for the recipe, that shall sooth my bitterness :)! All the best in Paris! je te vois bien dans ce décor…..
this is an absolute dream trip. wish i could afford it! Hello Bea ! Your photography is so beautiful !! What photo editing do you use and reccomend ! Thank you so much ! 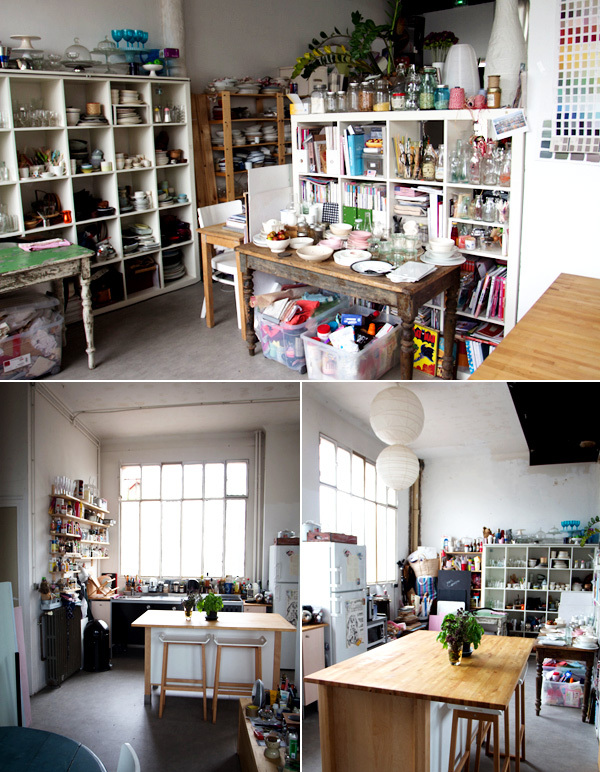 ps: PARIS is indeed a dreamy workshop location! 🙁 I cannot join you for this workshop but would it be possible to get a book signing in Paris? I bought your book in July 2012. It sounds like it’s fitting to be a fantastic workshop! How I wish I can afford to sign up for this workshop. 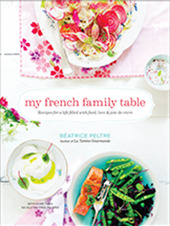 Food styling is perfect for me who has strong passion for photography and food! Incredibly beautiful photos, specially the one’s in the park.And of that lovey dish you have. Je serai malheureusement en Chine à cette période car vous allez travailler à deux pas de chez moi et ces trois jours d’atelier sont vraiment tentants… J’en parle autour de moi, en tout cas. Bon séjour à Paris. Merci Sophie. Dommage et bon voyage/séjour en Chine! Tes photos sont vraiment magnifiques. Votre atelier est super. Ton clafoutis à l’air d’un régal. Merci et bonne journée. Your blackberry desert looks absolutely wonderful! Chère Béa, c’est incroyable je serais à Paris du 16 au 22 avril avec ma famille!! Ce sera la première fois pour mes filles et je dois rester avec elles, mais ça aurait été magnifique de te rencontrer, je te suis depuis si longtemps!! Aujourd’hui c’est l’anniversaire de mon petit gluten free blog (1 an) et j’ai préparé ta “Chocolate cake with pistachios, raspberries and vanilla-flavored mascarpone”, c’est délicieuse! Je te remercie beaucoup parce que avec tes merveilleuse recettes j’ai appris une nouvelle façon de cuisiner sans gluten!! Simo, Merci de ce gentil message. Cela me touche que ma cuisine soit entrée dans la tienne! Joyeux anniversaire à ton blog et très bon séjour à Paris. On se croisera peut-être 😉 ravie que tu aies aimé le dessert! C est genial ce que vous faites les filles, vous me faites rêvez avec vos ballades gourmandes, vos photos et ce super workshop culinaire, je suis ravie bea de cette découverte et admirative de ton univers punchy, vivant et coloré, remplit de choses très joyeuse, ça me parle! Cela fait un moment que je te suis sur Instagram, maintenant je suis sandra que je découvre aussi. Bravo! la cuisine comme moyen d’expression et de partage. Lovely! Next time you are in Paris and want to collaborate on a gluten-free meal, do not hesitate to contact me! It could be fun to do a video too. I wasn’t attending but I am sure that it was a beautiful workshop. Really wished that I could be there. Will you be conducting this workshop in 2016? Trish, I hope so. Will be posting on my blog about it. Lovely post! I love Paris but I can’t visit it all time. This workshop is a nice place to visit. Love Paris and your site. I can’t wait to go back. Thank you so much for this wonderful site. I would love to attend this workshop. Are you holding it this year? Love your blog and can’t wait to attend this workshop. Hello Sadhbh, there will be more to come in Paris soon. 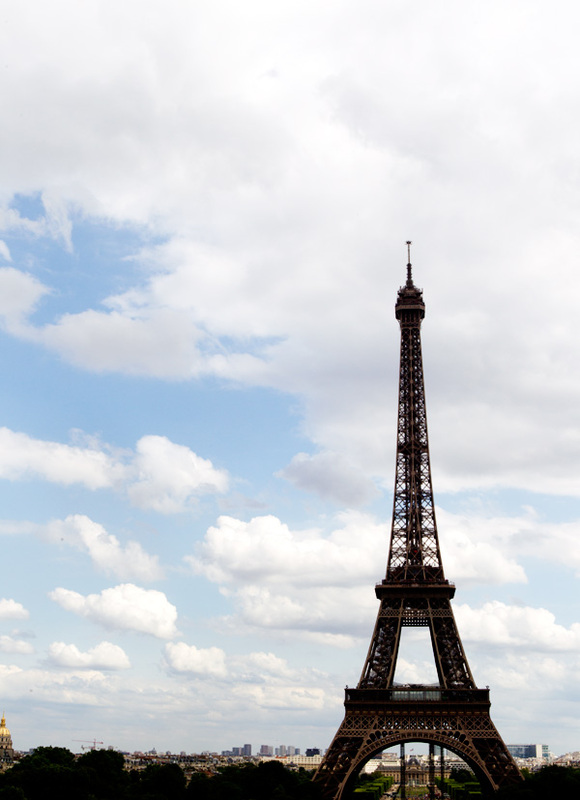 Really great photos, i love paris so much especially the food there ! I would like to know if you are providing any food styling course or workshop. Très belles photos ! et ça a l’air super cet atelier de cuisine ! Thank you very much for your beautiful website. I didn’t attend your workshop but would love to attend the next one. Just wondering if your conducting this market in mid 2017 at all? Hello Britt, yes indeed I am! Will post soon! great post, when is the next workshop ? great post , will love to know when next is the workshop will be conducted. Christopher, the next workshop is in June, 4 to 6, 2017. Hi Bea! where can I find more information about the next workshop in Paris? Thank you! You captured the beauty of Paris. Perfect! God… I wish I could visit those places in your pics and tasted all the yummy Clafoutis aux mûres et aux noisettes. My life will be so awesome. Next time someone says Paris, I’m sure to be reminded of these pictures. Beautiful!! Great post and it looks delicious! Thanks Béa!